Do you love Harry Potter? We know you definitely love Harry Potter! Harry Potter is the phenomenon that has swept the globe, smashing records and nesting in all of our hearts. Yes, it’s almost unthinkable to understand how all of it had happened and why the world fell in love with the boy wizard. From the incredible books written by the British author J.K. Rowling to the blockbuster movies that were welcomed by hundreds of fans outside the cinemas worldwide, Harry Potter’s legacy lives on and is still felt in the pop culture. That’s why we’ll look at the ultimate list of 600+ Potter-related facts! 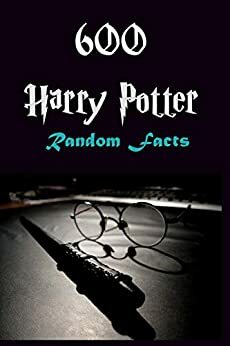 Enjoy and prepare to read tons of exciting facts! You and your kids will love this book. Grab it now while it's still available at this discounted price. The book was pretty interesting and I learned a lot from it. However, they spelled a few words wrong and kept saying The House Of Fire or The House Of Secrets, instead of its real title. All in all, the book was pretty good. Whoever wrote this is not a potterhead,but I dont mind. it was very entertaining,I must say. However,they did not spell words correctly,but it is still a GREAT BOOK!